At Deepak Gajrani Classes, our moto is provide high quality education that helps not only improving academic performance along with to complete cs entrance examination. Here dedicated teacher to teach and guide with extra time. It is best cs coaching in laxmi nagar. Now your dream of becoming cs professional is at your doorstep. 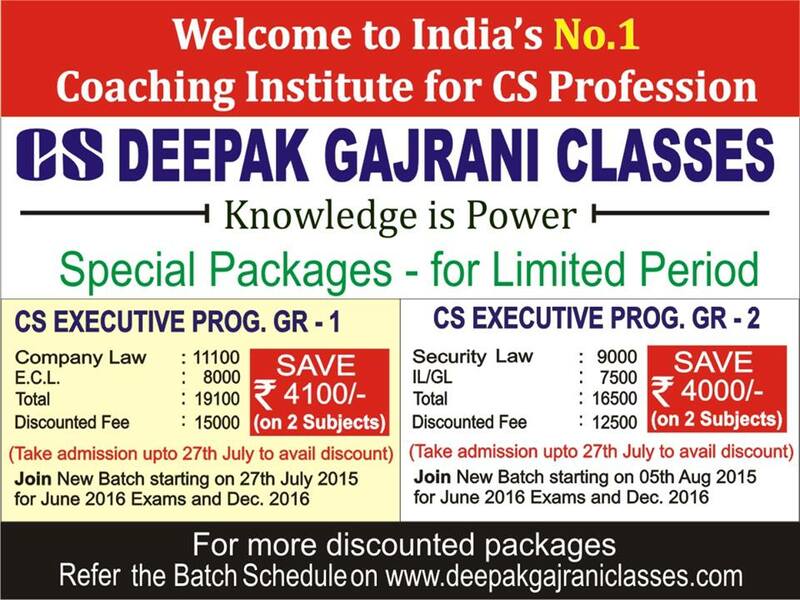 You can save 4100/- on two subjects, go and hurry up join fresh batch is starting on 27 July 2015 for exam in June 2016 and Dec 2016. Our discounted packages is available in limited time period and give your life a sharp edge and blooming to your career by becoming cs professional. Follow Us On Twitter, LinkedIn And Google+ …..